Agency Power has brought a new form of styling to automotive enthusiasts with this carbon fiber rear lip spoiler. 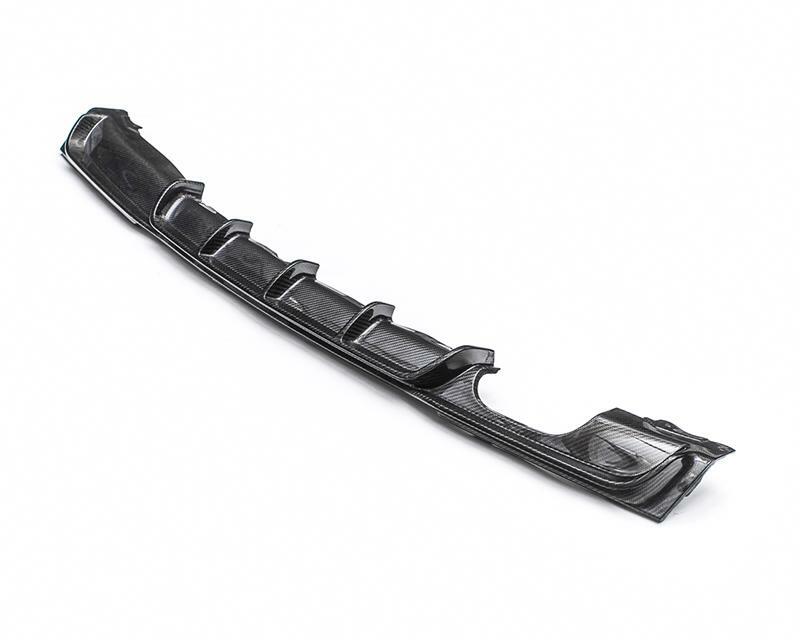 This Made in the USA rear lip spoiler is designed to fit on to the stock front bumper. It is made out of carbon fiber and finished with a glossy clear coat. The rear lip hangs down about 1/2 inch lower then the stock unit. It features more aggressive look then other lip spoilers on the market. This aerodynamic piece is a great add on to your car.